We get this question quite a bit: When should a writer use the Beat Board and when should he or she use the Index Cards? 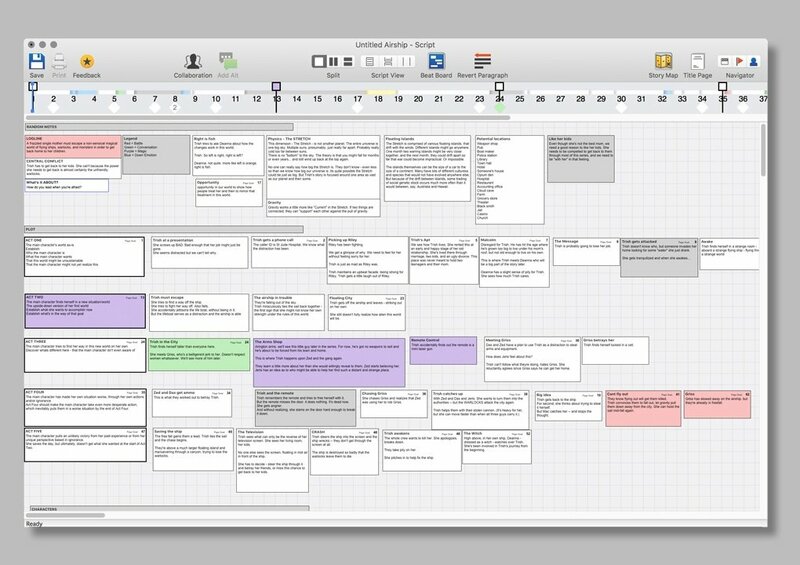 The Beat Board is designed as a pre-writing tool, one that allows the user to lay out parts of the story at any magnification – that is, each Beat can represent one section of a scene, a part of a conversation, a scene, a group of scenes, a sequence, an act, an episode, a season – whatever size story unit you need. A Beat doesn’t even have to be a plot point, it can be a character description, a theme, a song you want to use or a wardrobe plan. The Beats are not organized into a grid, they can be grouped, colored and placed wherever the user wants to see them. It’s a non-linear way to lay out story, structure, plot, subplot, character arcs – any part of a script that can be broken down into component pieces. The Index Cards, on the other hand, are more useful once you’ve gone to pages and now want to see a high-altitude view of the scenes that have already been written. They are locked into a grid and each card represents a scene and nothing but a scene (scene heading to scene heading). If you like you can start with one card (one scene) and add new cards (scenes) as you go, but you can view them only in order of appearance in the script and only as individual scenes, not parts of scenes or groups of scenes. 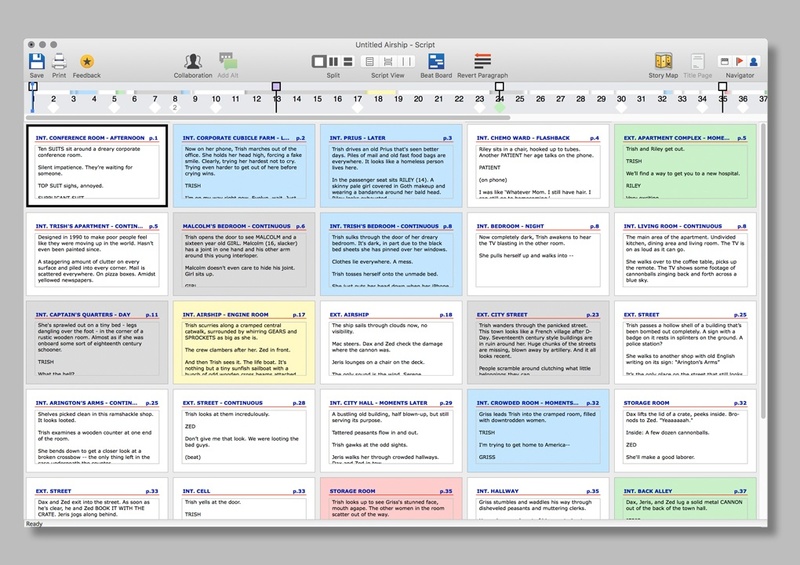 In short, the Beat Board can help you organize your story before you write, and the Index Cards can help you refine your story after it’s been written.